So if you’ve spent some time reading this blog you’d have noticed that a lot of what goes on here is centered on how to cultivate motivation for running. Without motivation – even in its waning state – there won’t be much running going on. So I’ll give you three guesses to figure out what today’s post is about – but the first two don’t count! Rule number one: there will be highs and lows in your training, accepting it right off the bat makes the ebb and flow easier to manage, and it’s the first step in ensuring that you still toe the line and reach your goals. Rule number two: proactively planning for when you become despondent and your enthusiasm has waned, will ensure that your lapse in motivation is only temporary and nothing more serious. The great thing is these steps can be applied no mater what your ultimate goal is; losing weight, building fitness, training for a race or simply making running a part of your regular routine. I cultivate my motivation for running by using these three steps during my goal setting stage, it’s an essential part of my planning and execution. Making a commitment is one of the best ways to cultivate motivation over time. In his book, Zen Habits, Leo Babauta discusses motivation and tells about how he committed to running his first marathon by writing about it in his local daily paper. Committing to achieve a goal publicly, whether it’s to your family and friends or your work colleagues, makes you accountable. 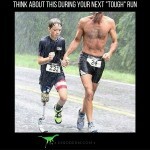 You’ve put it out there and that will automatically make you go the extra mile to achieve it. Make a visual map of how you are getting along – so much of our motivation is based on us seeing results. Keeping a running diary is an excellent way to cultivate motivation because it makes your progress and results tangible. Whatever your goal – there’s nothing like watching those miles clock up or those calories burn. I’ll be using this blog but there are loads of online resources you can use to keep a running diary; fetcheveryone.com, dailymile.com, activetrainer.com and runningahead.com are a few good places to start but you could just as easily start a blog or – if you like doing it old school style – keep a hand written diary. It’s such a simple thing but most of us struggle to ask for support – for some reason we perceive it as a sign of weakness. Well the last time I checked; I was a capable and independent adult– I know I’m not weak! Yet I still need support and I ask for it – that’s one reason for this post! Asking for and getting support is a great way to build up stores of motivation for when the going gets tough, we all need support and the more we have the better. So don’t be shy – ask for support on your journey to reaching your goal, I promise you’ll be pleasantly surprised! Whether you find that using compression sleeves, a GPS watch, gels, or new shoes help to motivate you when running, don’t feel bad about using running equipment as a way to keep you stoked about your training. Every sport has its array of products that make it more enjoyable. My feeling is that you should spoil yourself a bit; try out some new things once in a while just to keep the novelty of running alive. Sometimes a new piece of gear can be just what the doctor ordered. 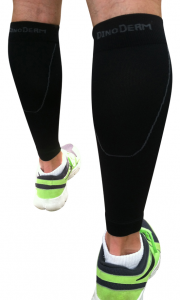 Speaking of doctors, this is why we manufacture calf compression sleeves, because the pain of shin splints is a huge deterrent to staying motivated to run. So that’s it! I hope that you have found this useful and that you will find ways to apply these steps to improve your motivation for running and training to reach your goals no matter what they are. 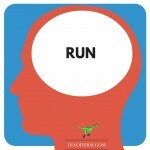 An Awesome Running Program For Beginners: Starting Strong Do You Run Like A Zen Master?